But never mind all that. You should go anyway, even if it means taking turns to wait outside with the dog while the rest of your party get to enjoy the site. 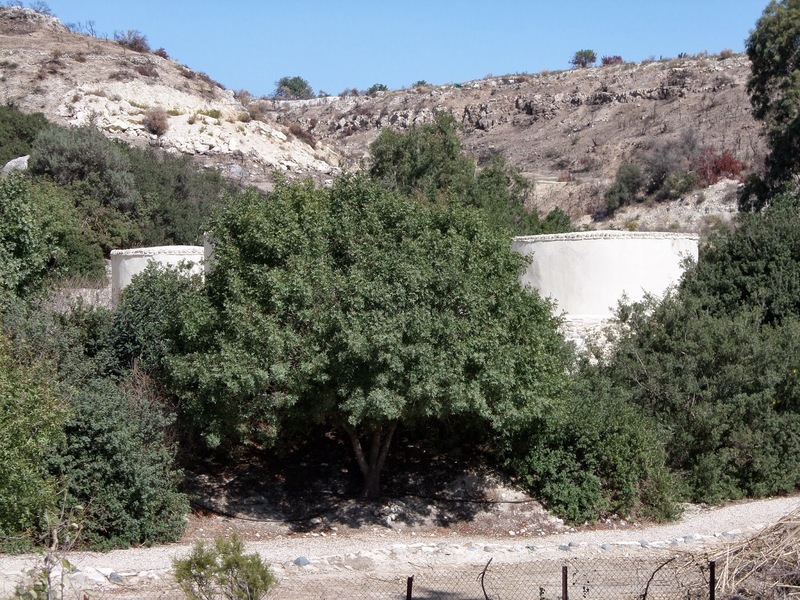 The site is located near the new highway between Larnaca and Lemesos, in the foothills of the Troodos mountain range. It was first excavated by Dikaios, for the Dept. of Antiquities of Cyprus, from the mid 1930s. A team from the French Centre National de Recherche Scientifique took over in '76, led by Le Brun. The site has been on the UNESCO World Cultural Heritage List since the late '90s. 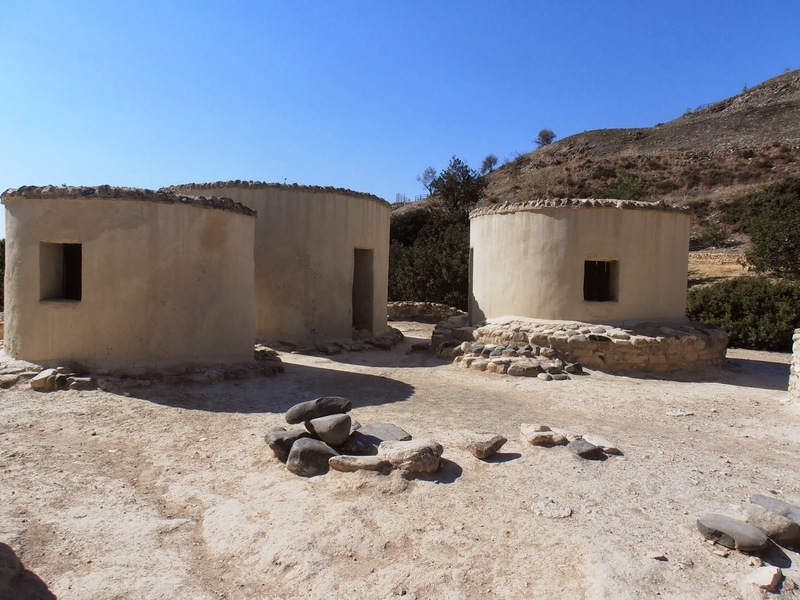 The settlement at Choirokoitia was founded during the 7th Millennium BC and provides invaluable information about some of the earliest sedentary communities in Cyprus. The inhabitants of Choirokoitia (and their contemporaries) used tools made of flint and stone, rather than metal. They did not fire pottery, but carved stone such as diabase to make vessels. As at Lempa (see previous post), archaeologists have constructed replicas at one end of the site. Unlike those at Lempa, however, these are not used for ongoing experimental archaeology, but rather to enhance the visitors' experience of the site. Continuing around the site, the foundations of a large number of round stone buildings, of varying sizes, are situated one above the other up the hill. Of particular interest is the intricate entranceway, which would have forced visitors to follow a tight passage that zig-zags, before allowing them to enter - thereby giving residents time and opportunity to defend themselves. 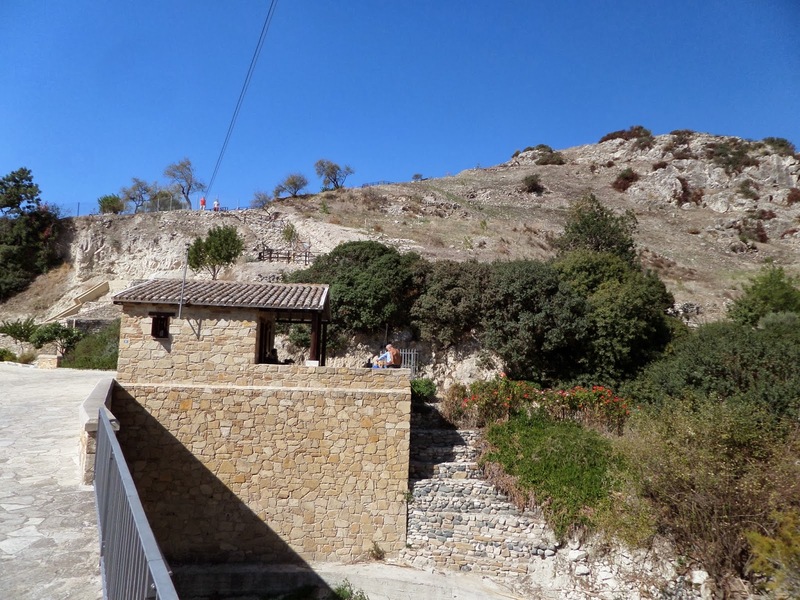 Choirokoitia was abandoned c.5200 BC, then there seems to have been a considerable gap in the archaeological record in Cyprus, before we see the emergence of a new phase, the Ceramic Neolithic. I have been to this site several times, but I could only find photos of the last time I was there, when I actually waited outside with Sage! I'll upload some more from inside the site as soon as possible. So, on the positive side, if you are forced to wait outside, there are trees for shade, and cafes to buy a drink. While we were waiting, I took Sage for a little exploration around the area, and discovered the dry river bed and nearby fields. 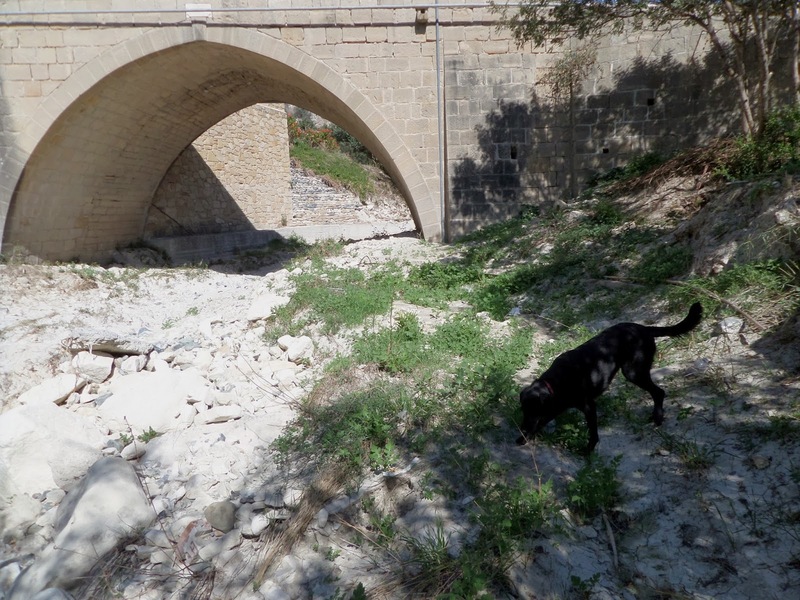 It's not the best walk, but it's a good place to have a rest stop on the road between Larnaca-Lemesos, to let your dog have a run around. 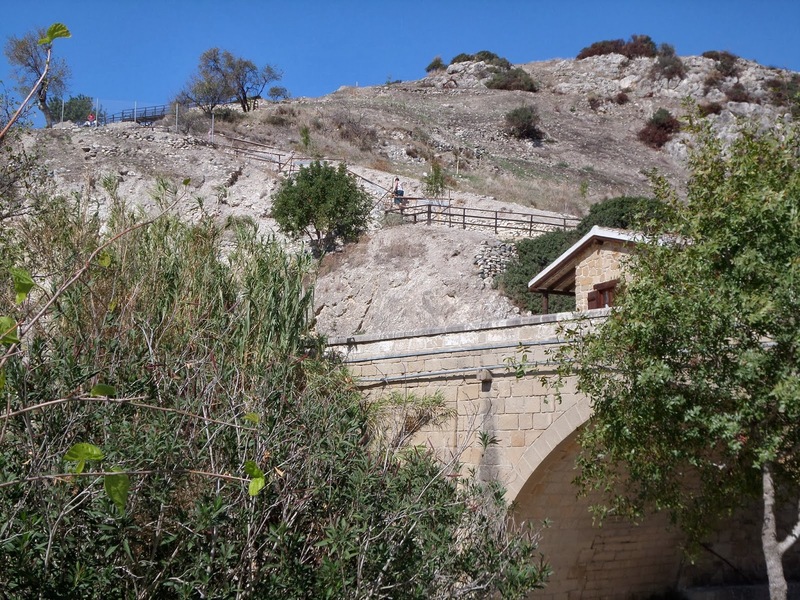 Check the page of the Department of Antiquities of Cyprus for more information about this site.